My baby bump is still pretty small and I am managing to fit into most of my clothes, except my jeans. However, I am finding the waistbands of lots of clothes uncomfortable by the end of the day. 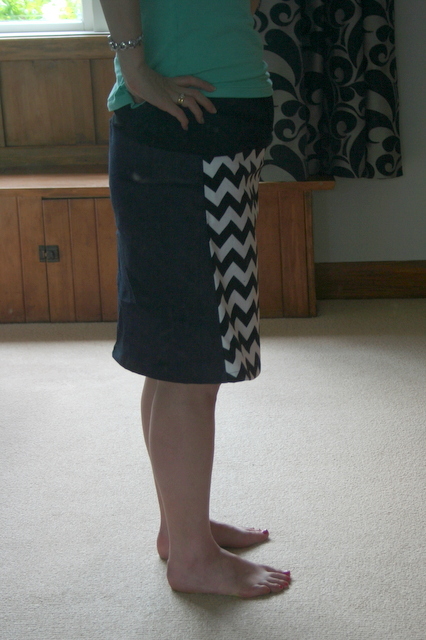 I've seen maternity skirts for sale online and thought about altering my favourite a-line skirt pattern to make it into maternity wear. 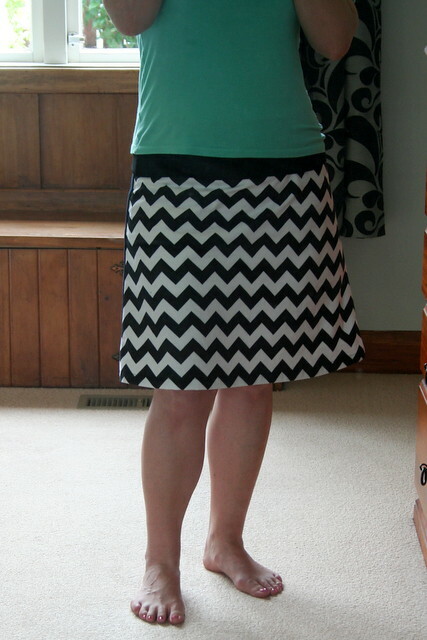 Then I found the Cerisy Skirt tutorial for an a-line skirt with a knit waistband and thought that sounded super comfortable and just what I needed. 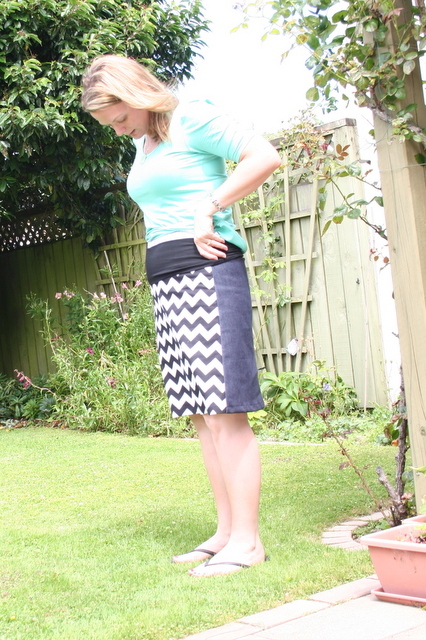 The tutorial has instructions for making a reversible skirt, but I just made mine one-sided . I used some denim for the back and a chevron cotton for the front. The chevron was pretty thin, so I lined it with a layer of white cotton. I made the waistband extra tall so that I can wear it doubled over now, then up over my bump later on. It is lovely and comfortable (just like wearing trackies). I wear lots of skirts to school, so I can see several more of these being made before I head back to work. Looks comfortable and stylish. A pair of maternity jeans and possibly a pair of work trousers come in pretty handy too.